Waterfall Info: Bernie Boyer discovered this waterfall on an unnamed tributary of Dodd Creek flowing in from the north. He christened it Raven Cliff's Little Sister due to its proximity to Raven Cliff Falls on Dodd Creek. 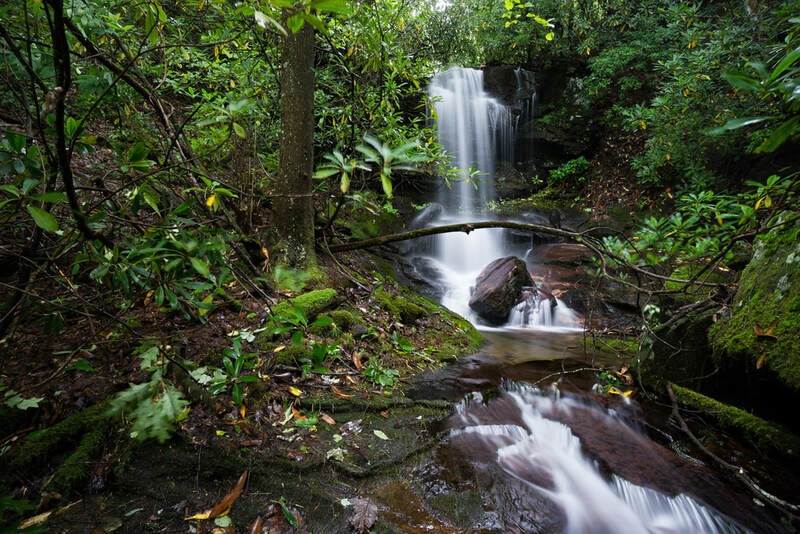 The waterfall consists of two separate sections, both scenic. You can't see the upper section from the base of the lower section. Although the two sections are close together, one could argue that they're two separate waterfalls. 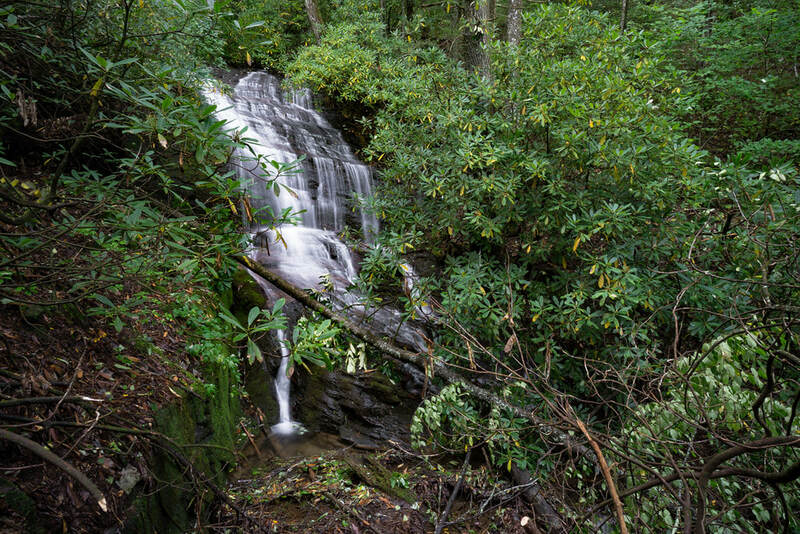 Access Info: Bushwhack off-trail upstream along the Dodd Creek tributary from the Raven Cliff Falls Trail. This is a fairly easy bushwhack.